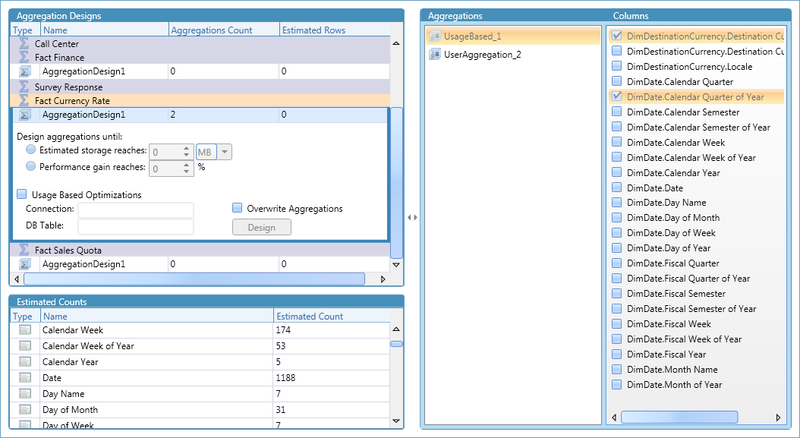 Use the Aggregation Design editor to create and edit aggregation designs, which generate aggregations based on their settings. Enter an aggregation design's name in its data grid row. 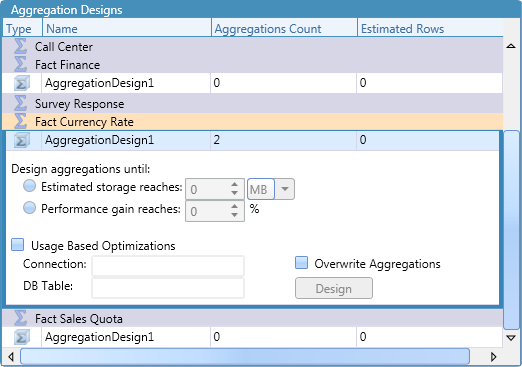 Specify the aggregation's design parameters and usage based optimizations in the row's details area. Press Design to generate aggregations. 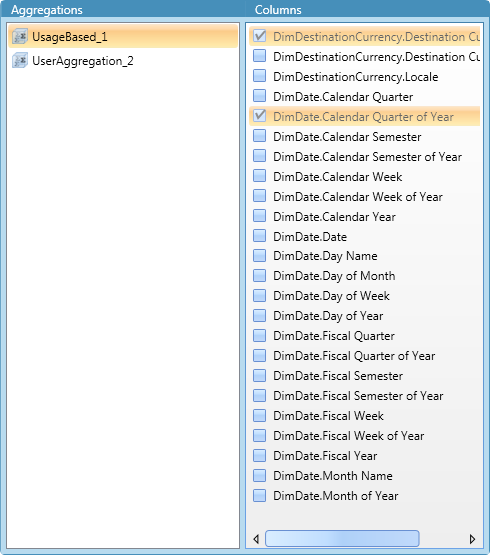 Select an aggregation to view and change its selected columns. Aggregation Design Add an aggregation design to the cube. Aggregation Add an aggregation to an aggregation design. Refresh Query Log Properties Retrieve the QueryLogConnectionString and QueryLogTableName server properties. Estimate Counts Generate estimated counts for each measure group and dimension attribute.